Time to review the third and final John Green book I borrowed from the library! Overall, I liked Looking For Alaska. It was not very plot driven which is good for a book! It means the books explores more themes and messages. This is the reason why I don't see it as a good movie (though I think a movie was in the works for this book). Most of this book is Pudge trying to meet new people, make friends, and fit in. Another part of this book is pranks and getting in trouble, and smoking and being a quote-unquote teenager. I liked seeing Pudge make sense of his teenager-world. At the end of the book, I do think Pudge did find the Great Perhaps. He found friends, adventure, and heartbreak. Everything was not fun and games which is how life is meant to be lived. The Manic Pixie Dream Girl: I've read 3 John Green books now: Looking For Alaska, An Abundance of Katherines, and Paper Towns. All three books have one thing in common: a manic pixie dream girl. It's true: John Green does humanize the girl; each one has their own set of flaws. Sometimes, I look at these flaws and I'm just like "ew, why does he like her?" Most of these girls are a bit pretentious and mean to the guy, which is fine, it is necessary. However, all three of these girls are plot devices to help the main character understand the world; which I guess is fine too. But after 3 books, this trope does get boring. 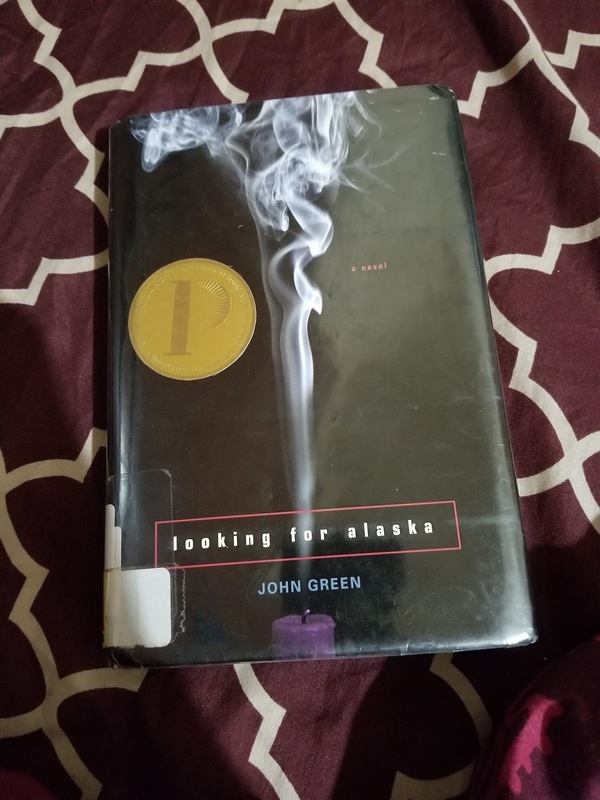 In both Looking for Alaska and Paper Towns, the main character gets sucked into a mystery about what happened to the girl. In Paper Towns, he tries to find out where she is and if she is alive. In Looking for Alaska, he tries to find out how and why she died. If I had read Looking for Alaska before Paper Towns, I would have thought "no way did Margo die, the girl already died in Looking for Alaska." I am glad Paper Towns had a different ending. It's sad how in both these books, the two girls end up dead or never being able to resolve their flaws and issues. I guess these books weren't their stories, so they end up the same. Maybe one day John Green can write about the flawed Manic Pixie Dream Girl finding solutions for her problems and being able to live in this vastly difficult world.